This should be an easy week. My biggest problem is that my computer desk doesn’t have drawers. Do you have that problem. Our office closet is filled with art supplies, camera supplies, cameras, lighting, tripods…no room for office supplies. So I bought some nice attractive containers I can label and place on shelves. 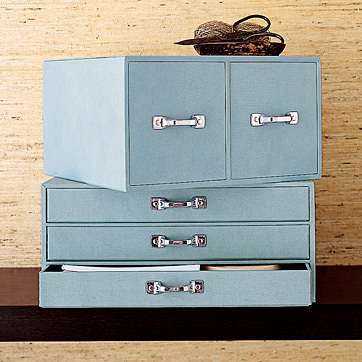 Organizing your office supplies can be easy and attractive. First start by sorting all your supplies, putting like with like. Use boxes designed for storing paper, stationery, and letterhead; deep boxes for staples, push pins, rubber bands, label maker supplies, etc. Pens and pencils can go in cups on your desk. Throw out all pens that no longer work. This is a great time to weed out the junk. I discovered I had 3 boxes of staples. I consolidated them into one. It is also nice to have small containers handy for frequently used supplies like paper clips and push pins. If you’re like me you use a lot of media like DVDs and CDs. If you use them a lot then don’t hide them in a box or drawer. 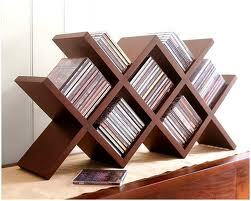 Find a unit that fits on your desk and leave room for more DVD’s in the future. Try to pick items that look attractive. Look around your home first and try to find boxes or baskets that will fit the bill. Shoe boxes are great. Cover with your favorite paper and they will look great too. Easy week, right! Next week we will have tips on going electronic to save on paper pile up. Easiest way to financial paper organization, guaranteed. 5 Bins that will Effortlessly Clear the Paper Pileup. Create a File system for your Home Office. Organizing the Home Office 8 week Challenge. Get organized without spending a dime.